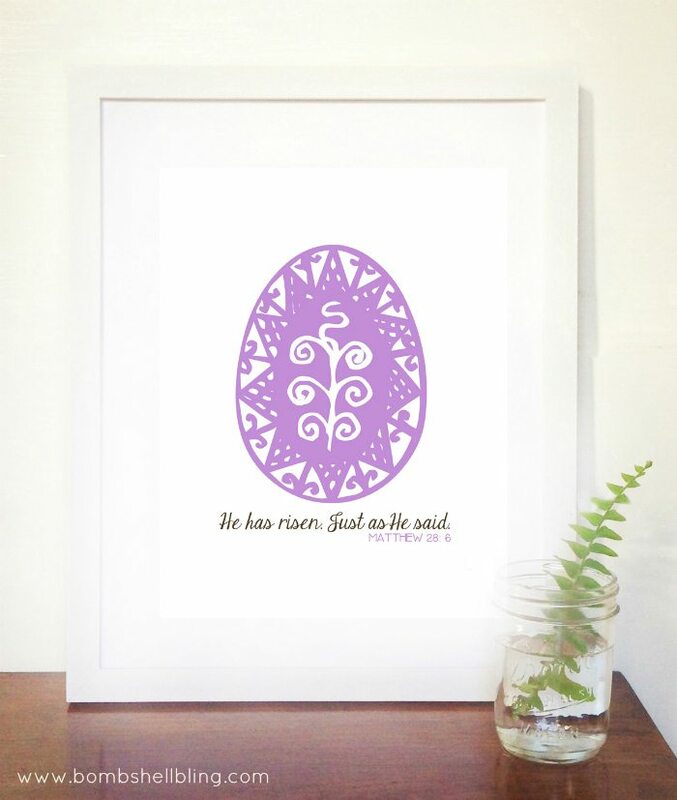 FREE Religious Easter Printable - Perfect for Easter decor! This free religious Easter printable is classic, simple, and perfect for Easter decor. Simply print it out, frame, and you will have a lovely statement piece of decor. Today Kristin from The Simple Perks has provided us with a beautiful and touching printable based upon the scripture Matthew 28:6. Easter is a wonderful time of year to celebrate the Resurrection of our Savior, Jesus Christ, as all of the trees start to bloom and the flowers and plants peek up from the frozen soil. I love spring, and I love Easter. I will definitely be printing out this lovely free Easter printable to frame for my home this year. DOWNLOAD THE FULL FREE PRINTABLE HERE. These are ALL wonderful printables! Thank you for sharing them and for linking up with us at the Oh My Heartsie Girls Wordless Wednesday Linky Party! Hope to see you again at our next party! Thank you for sharing at All Things with a Purpose! These are great printables!Thanks for linking up at #PureBlogLove Link Party! Can’t wait to see what you’ll bring. I love the simplicity of the design with those high impact words.